This hit home. My dad died 15 years ago and I still vividly remember his expressions and mannerisms - his voice. My earthly dad wasn't a good one, but I am so thankful for our heavenly Father, for His voice, for His care, for His love. He always speaks - we need only listen. Thank you for this reminder! A wonderful post! And like Deirdra, I also can recall those expressions of my dad though he has been gone for 29 years! 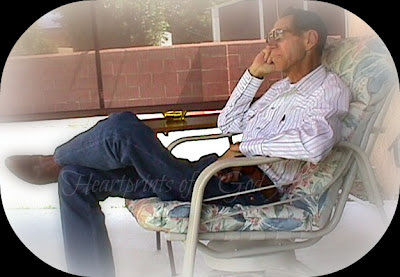 Mine were wonderful remembrances of a kindhearted earthly dad... so blessed I was. Another beautiful message that hits home.